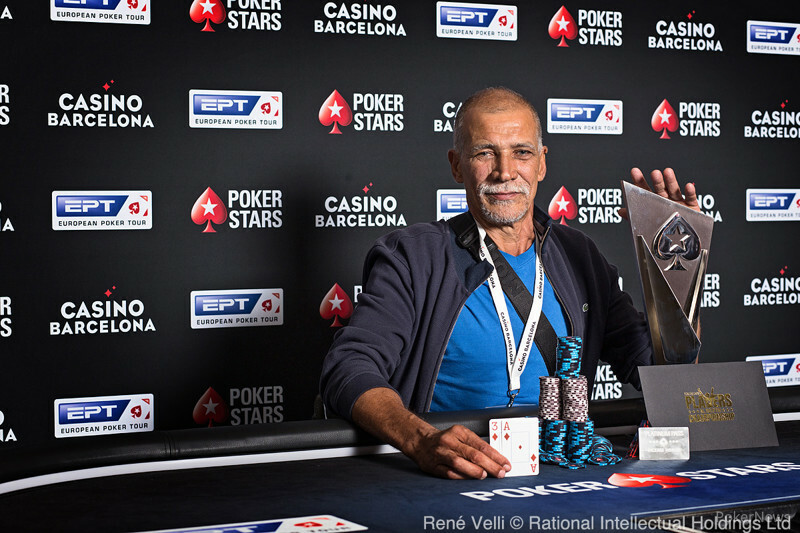 After a speedy day of just over four hours, Jean-René Fontaine has conquered the massive €1,100 EPT National at the 2018 European Poker Tour Barcelona! Fontaine bested a field of 4,348 runners to claim the first place prize of €547,000, as well as the $30,000 Platinum Pass awarded on top of it. 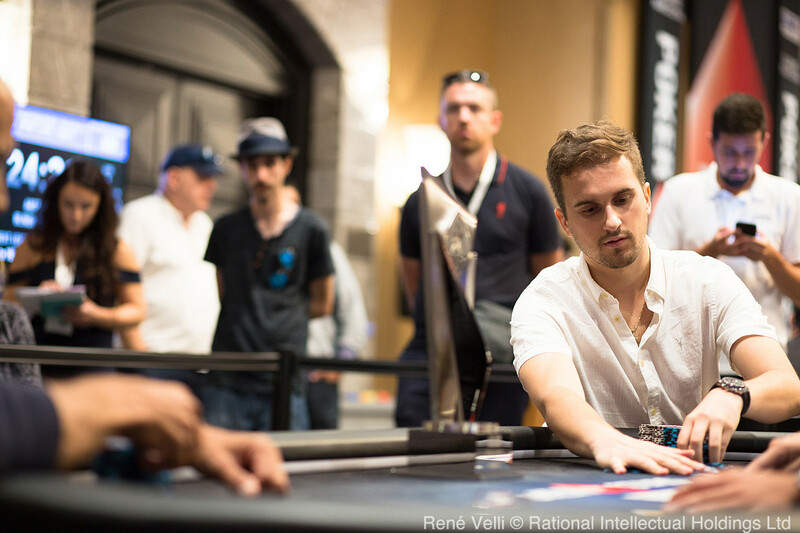 Fontaine, who hails from the French overseas region of Réunion, defeated Julien Martini heads-up after both players held commanding chip stacks throughout the final table. Martini walked away with €323,000 for his runner-up finish. Alberto Ah-Line, also from Réunion, finished in third place (€242,000). Other finalists were Claudio Di Giacomo (4th - €197,000), Jerome L'Hostis (5th - €155,000) and Jan Teunis (6th - €123,000). 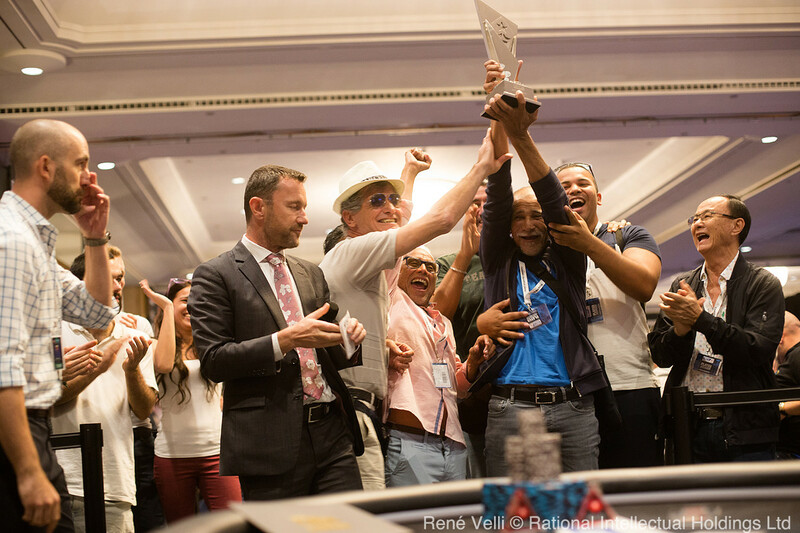 With a twinkle in his eyes and the trophy firmly locked in his hand, the Frenchman — surrounded by his friends at the rail — was all smiles after his crowning achievement. "It is pretty, it is too beautiful, I am very happy ... there is nothing more beautiful!" Like Alberto Ah-Line, who finished in third place, Fontaine hails from Réunion. 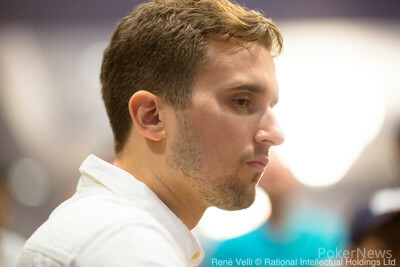 The improbable deep run of both men of the French department, as well as having four French players in total at the final table, made Fontaine even happier. He spoke to PokerNews a few minutes after conquering Julien Martini heads-up. "The feeling of winning is even stronger with two Réunion on the podium and four French in the final. I felt that something special was happening already on Day 2. In the heads-up, with all the respect that I have for Julien, I knew that I was going to win. I saw what he was trying to do and I acted on it", Fontaine said, before adding "it's a pleasure to play against professionals, I learn a lot. After that, obviously, luck comes into play as well." 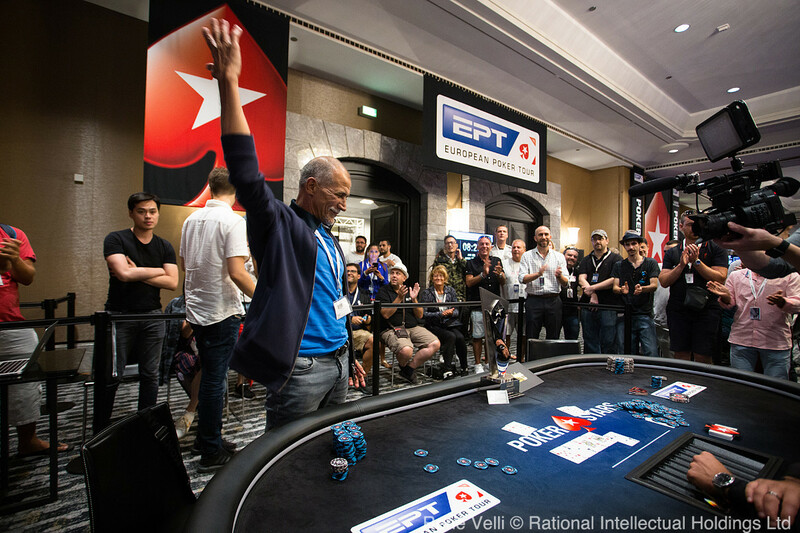 "This victory will not change my life, it's beautiful but it will not make me turn my head," Fontaine added, who play the EPT Main Event on Tuesday. Before that, he will take things as they come. "Nothing is planned, it is day to day," he smiled. Besides the astonishing amount of €547,000 for the victory, Jean-René also received a $30,000 Platinum Pass and punched his ticket to the Bahama's to play the 25K PokerStars Players NL Hold'em Championship in January. "I promised to go there, it's for sure I will go," Fontaine said about the unique opportunity. God willing, there's also a trip to Las Vegas, I never went there," Fontaine said, visibly overwhelmed by his success. "It's so beautiful! 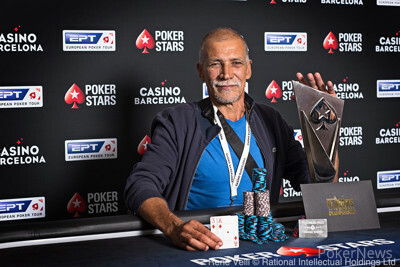 ", the freshly crowned PokerStars EPT National Barcelona champion repeated with a smile. Julien Martini, who won his maiden bracelet this summer at the World Series of Poker by winning the $1,500 Omaha Hi-Lo event, had to settle for second place this time. It was a classic battle of the unpredictable amateur against the calculated pro, with the underdog walking away with the victory. While the outcome may not have been the result Martini was looking for, he was still happy after the final table had come to its conclusion. "Of course, I'm disappointed to not win the tournament, but overall I'm super happy. If you play a 1k with 4,000 players and you run deep, it's an amazing feeling," Martini described his first thoughts to PokerNews after the heads-up. Fontaine's unpredictability gave him the victory and in defeat, Martini was full of compliments for his countryman. "It was very hard for me to understand what he was doing and I think he used that very well. He was very unpredictable. I couldn't adapt, unfortunately. He used his strengths and that's good for him. He won; I think he deserved it," Martini said about Fontaine. 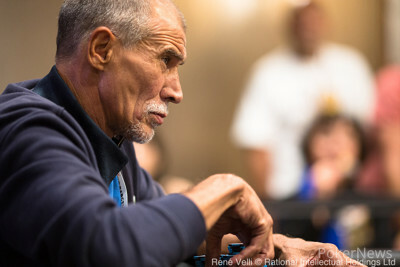 Six players returned at noon local time to play the final day of the EPT National. Each of them had already locked up €123,000 for outlasting 4,342 other hopefuls — an amazing return for their €1,100 initial investment regardless what would happen. It was Teunis who became the first player to go after three-bet shoving with king-queen from the big blind. Fontaine, who had called an initial raise with ace-eight, called again and held up to knock out the sole Dutchman in sixth. After Teunis' knockout, an interesting dynamic took place as big stack Fontaine would sit back and let other big stack Martini do the heavy lifting. With three short stacks in play, Martini tried to leverage his chip advantage as much as possible, while trying to keep the shorties on life support to maximize his equity. That dynamic between the five lasted for more than an hour, with Di Giacomo escaping multiple times from elimination. Instead, it would be L'Hostis who busted next. In a blind battle, L'Hostis called all in with ace-four after Martini had shoved with ten-eight. The eight on the river gave Martini the winner and L'Hostis was out. 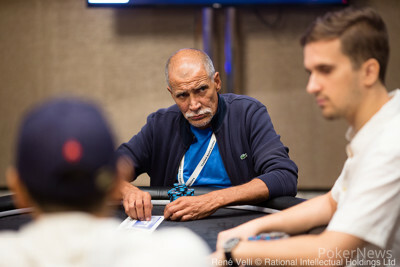 Di Giacomo followed him shortly after and once again it was Martini who did an opponent in: with pocket queens, Martini bested Di Giacomo's king-jack in a preflop all-in situation. Ah-Line, the third of the short stacks, scored the two payjumps to make the final three. That would be it for the man from Réunion, as his tournament came to an end when a reshove with nine-trey backfired against Martini, who wasn't planning on folding queen-ten. A queen sealed it for Martini, who could prepare for the heads-up next. It was the unpredictable amateur Fontaine versus the calculated pro Martini. Martini went in as the odds-on favorite, but it would become a one-man show as Fontaine dominated the heads-up from start to finish. After opening up a two-to-one lead, Fontaine decided it all in one hand. In a three-bet pot, Fontaine checked an ace-queen-seven-flop to Martini, who checked behind. After betting the jack on the turn, a second diamond, Fontaine checked the offsuit deuce on the river to Martini, who shoved. Fontaine snap-called with ace-trey and was right, as Martini couldn't muster up more than seven-six of diamonds. Fontaine jumped from his seat, pumped his fists and cheered with his friends on the rail, while a still-smiling Martini congratulated his opponent with the victory. That's all for PokerNews coverage from the EPT National in Barcelona, but there's plenty still to come from Casino Barcelona. While the €100,000 Super High Roller is still running, the €5,300 EPT Main Event will kick off on Monday, August 27 at noon for a seven-day event and will be covered wire-to-wire as well, so make sure to check back regularly as live coverage of the 2018 EPT Barcelona rolls on. All photos in this article are courtesy of René Velli / PokerStars. Julien Martini raised to 2,500,000 on the button, Jean-René Fontaine three-bet to 8,000,000 from the big blind and Martini called. For the third time, Fontaine snap-checked an ace-high flop, , and Martini checked behind. The turn was the and Fontaine bet 9,500,000 within a moment's notice, which Martini called. The river brought the and Fontaine instantly checked. Martini shoved all in for around 24 million and Fontaine nearly beat him to the pot, splashing in a call. Fontaine's ace was good and the 2018 EPT National in Barcelona was decided on the spot. The Frenchman from Réunion let out a cheer, pumped both his fist in the air and smiled all the way. Julien Martini, who won his first WSOP bracelet earlier this summer, had to settle for second place and received €323,000 for his incredible deep run. 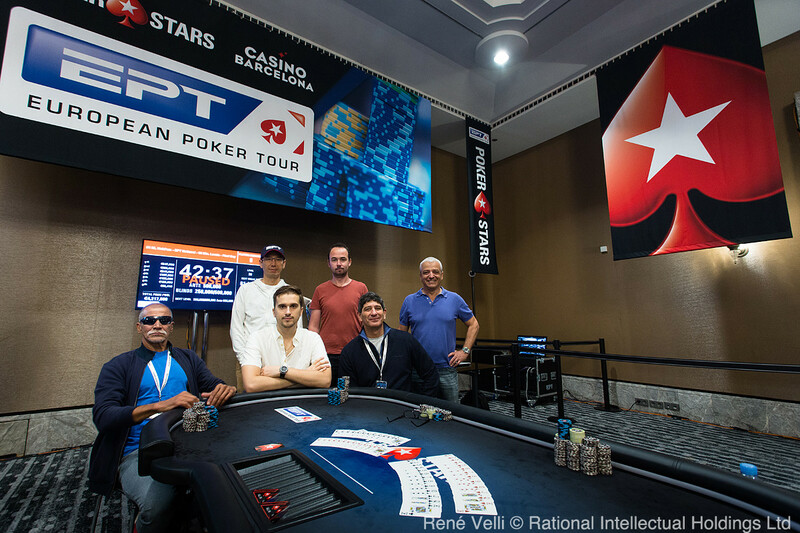 Jean-René Fontaine has become the winner of the EPT National and has won €547,000 plus the $30,000 Platinum Pass! A full recap of today's action is to follow. In a three-bet pot, the original three-bettor Jean-René Fontaine nearly checked in the dark when the flop landed. Julien Martini bet 3,800,000 but Fontaine had crafted a plan. He snap check-raised with a towering stack of T-500,000 chips, at least worth 30 million, and Martini instantly released. Fontaine tapped the table but didn't show. Photos by René Velli / PokerStars. 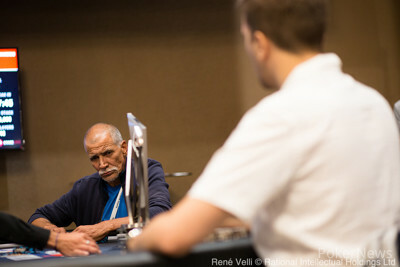 On a flop, Jean-René Fontaine check-called a 1,300,000 bet from Julien Martini. On the turn, Martini amped it up with a bet of 5,400,000 and Fontaine once again came along with the call. The river was the and within a second, Fontaine slid forward a stack of T-500,000 chips worth 10,000,000. Martini let out a faint smile before glossing it over. He ended up folding; Fontaine didn't show and won another sizable pot. Two hands later, Martini raised to 2,500,000, Fontaine three-bet to 8,000,000 and Martini called. The board got checked down all the way. Fontaine showed and Martini mucked his hand. After a raise and call preflop, Jean-René Fontaine checked the flop and called a 1,300,000 bet from Julien Martini. The turn brought the and Fontaine checked. Martini bet 4,800,000, Fontaine check-raised to 13,300,000 and Martini painstakingly gave it up after more than a minute. Triumphantly, Fontaine slammed open for just bottom pair and collected the pot. For live reporting in French, follow all the live updates on the French PokerNews. Suivez le reportage en direct de Barcelona en Français en cliquant ici. Julien Martini raised to 1,600,000, Jean-René Fontaine three-bet to 4,800,000 and Martini called. A board got checked down and Fontaine showed the winner with . Two hands later, Martini raised to 1,600,000 again. This time, Fontaine three-bet to 8,500,000 and Martini let it go. Who Will Win the 2018 EPT National?